Today is a big day, my friends. After this purchase, we did something even bigger than that. Matt and I bought a coffee shop. a) These drinks all have big health benefits. c) These drinks are delivered to your very own porch. During the past 11 years of our family’s health-seeking journey, we’ve been approached about dozens of “be all and end all” products that promise to heal everything that ails you. I’ve given many of them a fair try, taken time to read their ingredient list, and heard of people’s results. Some have been good and I’m happy for all who have benefited from what they offer. I’ve seen people go from eating fast food every day and drinking lots of soda and almost never eating a veggie…to trying these new products while at the same time switching over to eat a healthy diet and start exercising. Sure enough, they see results. They lose weight and they feel better! Well, of course they do. They are finally eating nourishing foods and exercising after so many years of neglecting these healthy habits. So was it the product that helped or was it the good food and exercise that helped? I think it’s hard to know. Is it enough to say: YUM! Healthy coffee, tea, and tasty cold sweet drinks!?! I will not say, “We found amazing drinks that will cure all migraines, eczema, diabetes, energy levels, learning struggles, focus and memory issues, joint pain, allergies, and help you lose weight too!” Many people have been helped in all these areas and more because of these drinks, but I’m not going to brag on these as “be all and end all” products. I can’t believe how much I love this and how good I feel about drinking these and giving them to my family. You could grow and harvest all these herbs in your yard yourself, or you can just drink this coffee or tea that already includes them. I know you love coffee. You have to try this. Allow me to introduce you to Javita. Beyond healthy varieties of coffee and tea, Javita carries tasty drinks pouches that you can stir into water that boost the immune system, aid in digestion, offer benefits for athletes, help regulate blood sugar, and reduce joint pain (I have a whole story to tell you someday about Flex). I think one of the biggest brags I can make about these drinks is that we started feeling the benefits from them while making no other changes to our lifestyle. We started drinking these after many years of already eating nourishing foods, drinking plenty of water, and exercising regularly. I believe this offers a true test of the benefits of these drinks. And I guess the fact that I’m writing about them for you today and that other tiny fact that Matt and I invested in our very own Javita coffee shop tells you how we really feel about the goodness of the coffee, tea, and other drinks. If I’m going to drink coffee every day, shouldn’t I be drinking one that helps keep my body and mind balanced? I sure think so. Ah, the ingredient lists. They are gloriously short. Hallelujah! I didn’t recognize every item on the lists at first, but that’s because I am not an herbalist and have not done the research (until now). Now my research tells me that the ingredients in each of these drinks are absolutely pure, good, and beneficial for many different health needs. The coffee actually brags of being “weight loss coffee.” I found that interesting and am very happy to share that fact with people. But I don’t drink the coffee to lose weight and I’m not sure you should either, even though that might be an added perk for some. I’m drinking the coffee, tea, and other drinks because they are pulling toxins from around my organs, cleansing my insides, giving me pure energy, helping me to think more clearly, and helping me to feel more emotionally balanced. 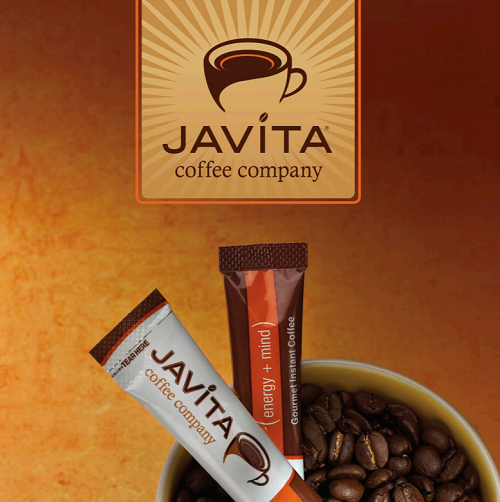 I will not bombard you but I want you to know that Javita products are absolutely worth trying. 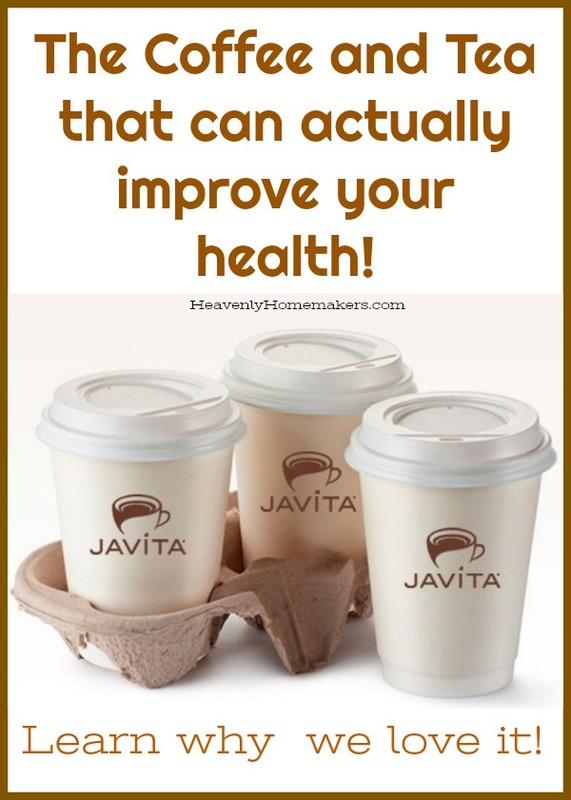 Matt and I are sold on them for so many reasons that I’ll continue to share as we embark on this Javita journey, and we’re so glad to add them to our daily diet. Our boys are still at church camp right now but you can bet that when they get home we’ll be giving them Rush (before their sports work-outs), Defend (for immune system health), and Flex (any time they are in pain in any way). I guess I should also mention that we love the taste of every single drink we’ve tried. Truly, these are fun and tasty and I’d feel naughty like I was drinking kool-aid and strawberry lemonade but I’m drinking herbs and coffee and becoming healthier so hoo-rah! They are $1.25 each when you join our Dollar Coffee Club. This is huge savings if you’re used to buying coffee shop drinks. But it can seem high if you’re used to brewing coffee and tea or making sweet drinks at home. I’m a home-coffee brewer, and here’s why I still feel that a little over a dollar a drink is a wonderful price: They are taking the place of many of our other supplements (and the coffee I was regularly buying) and they are keeping us from having to go to our natural doctor as often. This offers significant savings for us. And it’s a great perk that our new supplements come in the form of fun drinks! This is so much more enjoyable compared to chugging down vitamins and swallowing pills. Let me break down my highest recommendation for you if you’d like to try these drinks. Click here to check out our pretty new Coffee Club Shop. Click on “Learn More” or watch the video if you like. When you’re ready, click the “Order Now” button. In a few days your first shipment of drinks will arrive and you can have as much fun as we are having! After that, you’ll receive monthly auto shipments of drinks, but you can change your drink selections, add or subtract boxes, or cancel at any time. Let me know. I’m new at this too, but I’ve tried enough products to love them and to have learned some specific recommendations depending on your family’s needs. My email address is: laura@heavenlyhomemakers.com. 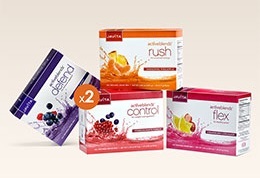 I can’t wait for you to try these great drinks and I really can’t wait to hear more about how you like them! Check out our Dollar Coffee Club here. My husband and I have been drinking the coffee, tea, and waters for three months now! I am amazed by the results personally and by seeing my family and friends see benefits. I have lost 7 inches in my waist, my husband 7 pounds in three weeks, and our energy level has drastically changed. We take walks together now, feel better, and enjoy adding herbs to our day. My husband has seen improvement in his pre-diabetic condition which has given him so much encouragement! We will keep drinking to our health! So glad you shared!!! What a blessing it is to know about these drinks! Hi Laura, is there a way to buy sample packs to try out the different flavors before we buy a full box? We love Javita! They have given my husband and I way more energy! The loss of 8 pounds in a month has just been a bonus to feeling healthier! My kids are excited about being able to have fancy drinks that just happen to have amazing things in them that are feeding their bodies! ????????? I am interested in the business part of it. I would like some more information. The site said I needed to be referred by you. Can you help me out please! Absolutely! The business side of this is really fun since the products are so fun, delicious, and beneficial! The easiest way to sign up is through this link: http://www.myjavita.com/lauracoppinger, then click the “Join Now” button. That will walk you through the part of signing up for a business, (you’ll need to use my member code: 433280). You can do whichever you choose, but I signed on at the Star Gold Pack $499 level as that is what most people seem to recommend as best so you have plenty of products to share with people who get excited and want to try the coffee and such. EEEk! Member number 433280! I’m going to edit the comment above to give it correctly. Oops! I too am interested in the business side. The site needs a referral number. Yes! I am loving the business side and feel like it would be awesome if people jumped on this and promoted in their area! The easiest way to sign up is through this link: http://www.myjavita.com/lauracoppinger, then click the “Join Now” button. That will walk you through the part of signing up for a business, (you’ll need to use my member code: 433280). You can do whichever you choose, but I signed on at the Star Gold Pack $499 level as that is what most people seem to recommend as best so you have plenty of products to share with people who get excited and want to try the coffee and such. I just thought – if you have aches and pains and stiffness from pregnancy, the Flex is a lifesaver! Woohoo! May have to give this a try! Hi Laura. You mentioned that you feel it has replaced some of the supplements you were taking. Do you mind sharing what you feel could be replaced by some of these drinks? I love my inexpensive home coffee, but the higher price would seem worth it if I was able to save on supplements. Sure! 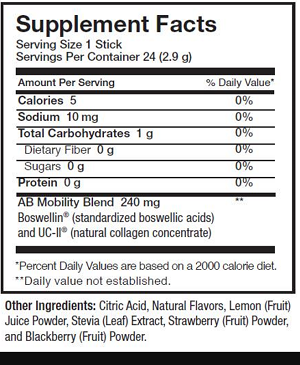 The Fiber drink has definitely replaced a digestive enzyme I was taking every day – it’s amazing!!! (Not sure how much info you realllllly want about this, but the Fiber “works it’s magic” for me every single day! Before that, I could never, ever go without taking one-two digestive enzymes every day.) The Defend has replaced all of our vitamins and immune system boosts and supplements. Flex is amazing for inflammation and pain, so that hasn’t replaced anything, but has given us a wonderful, natural option of something to take when we have any sort of ache or pain. Right now, my husband is drinking a Flex every day to see if that helps with shoulder pain he’s been having for the past year. That will save a ton on chiropractor visits! The combination of the coffee and other drinks has made me feel so balanced and energetic that I would say not only am I *not* taking the supplements I had been taking, I also feel like I’ll avoid having the pay the frequent chunks of money I’d been paying to go see my natural doctor. I will definitely still see her and take my family to her as needed when we get sick, but for now we are loving the strength and health we feel because of these drinks, so we’ll save quite a bit on doc visits.